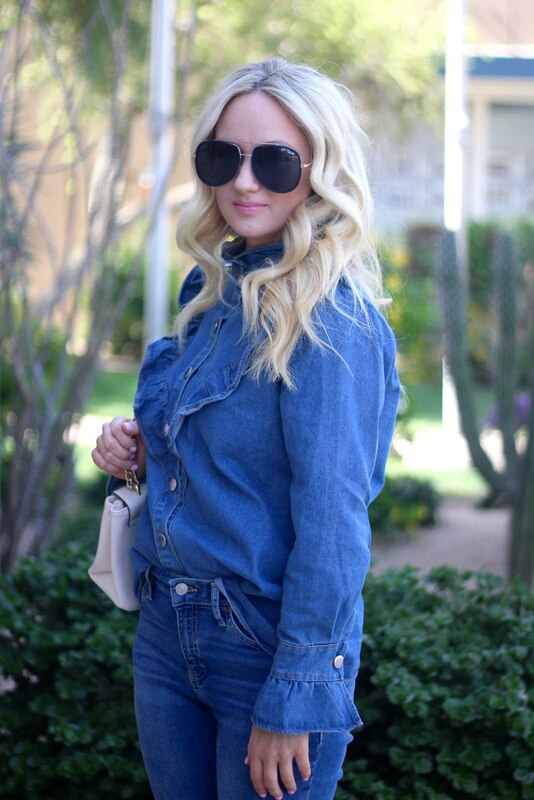 I swore I would never wear denim on denim. Well...here I am! 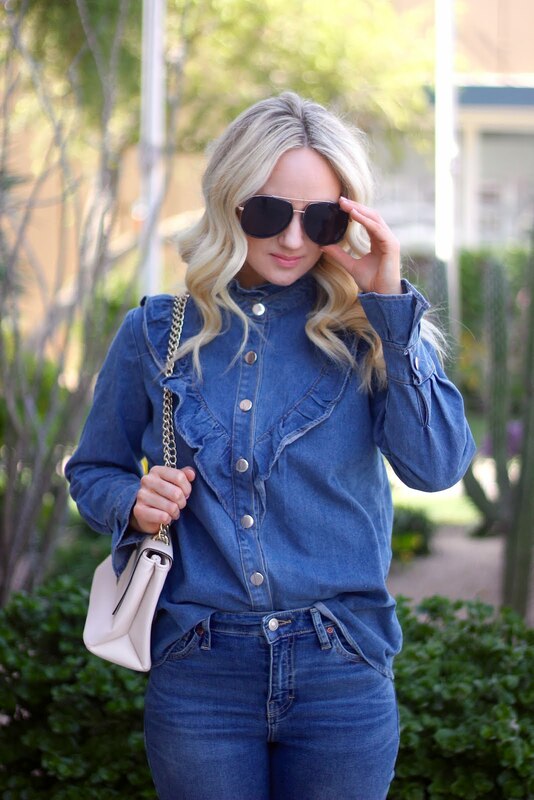 Denim in all its glory. These jeans are my absolute favorite! These are also the same exact ones I posted about in "white." They really are that good that I needed a pair in a denim color. I am obsessed with this ruffle shirt! It is a bit of thick material so I probably won't be able to wear it much longer, but the last couple of days have been just gorgeous here! I went ahead and linked an exact style in a thinner material that also comes in 3 colors.